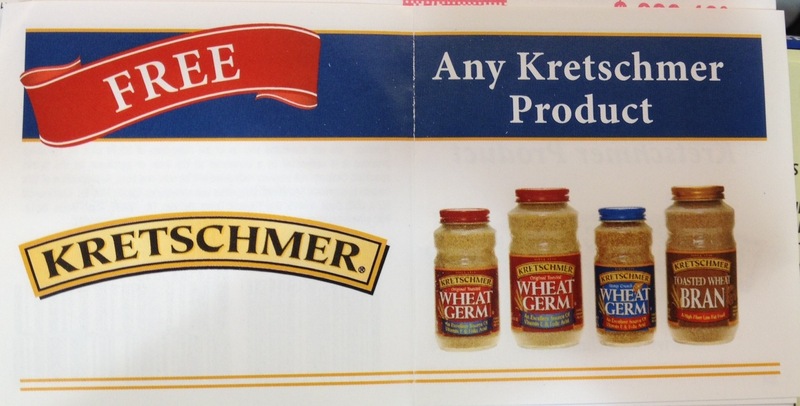 I was contacted by Kretschmer Wheat Germ about trying their products. I was sent two coupons for free products to give wheat germ a try! I knew wheat germ has been around for awhile and has always been in the cereal aisle, but I wasn’t sure how to use it! 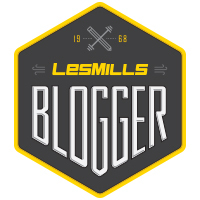 Kretschmer has a great website – www.mywheatgerm.com and Facebook page too! I wasn’t quite sure to do with my new wheat germ. I decided to get the original and honey crunch version. You can substitute wheat germ for flour or bread crumbs to lighten calories and add nutrients. You can use it yogurt and smoothies too! You can get more recipe ideas from Kretschmer’s website as well. 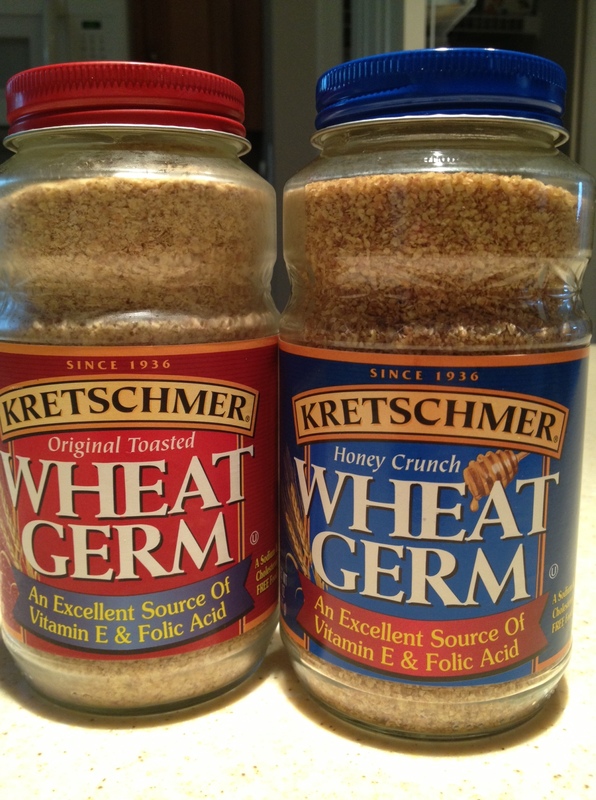 Here is how I used my new wheat germ…. I marinated my salmon in a balsamic citrus dressing for 30 minutes before cooking. 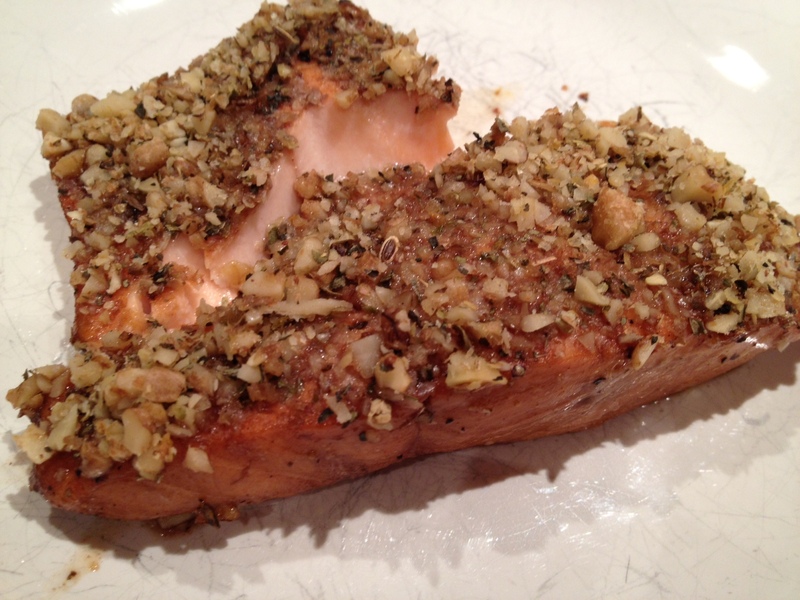 I brushed my salmon with a little maple syrup and I used chopped walnuts, wheat germ and spices to rub on top. After cooking at 350 degrees for 15-20 minutes it was crispy on top and delicious!! If you are interested in trying wheat germ at home…. leave a comment!! I will pick a winner Monday night and the winner will receive two coupons for free products.